Musician Alison Sudol will play the character of ‘Queenie’ in the upcoming Fantastic Beasts and Where to Find Them film. 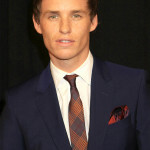 Sudol will star alongside Eddie Redmayne, who was cast last month as protagonist Newt Scamander. The character Queenie is the younger sister of Porpentina (Tina), played by Katherine Waterston, who meets Newt while he is in New York cataloguing magical beasts. The role of Jacob, Newt’s rival in the film, is expected to be announced in the coming days. Josh Gad (Frozen), Michael Cera (Superbad) and John Krasinski (The Office) are rumoured for the part. Fantastic Beasts and Where to Find Them (the first in a trilogy of films) will be released on 18 November 2016. The film will be directed by David Yates (director of the last four Harry Potter films) and penned by J.K. Rowling.